It's going to officially release on April 25th, this will include same-day Linux support as it's a Paradox Development Studio title and their Linux support has been excellent in the past. I always love the idea of Paradox's grand strategy games, but I've found Stellaris so far to be the only one that has been a fit for me due to how accessible it is compared to their previous games. 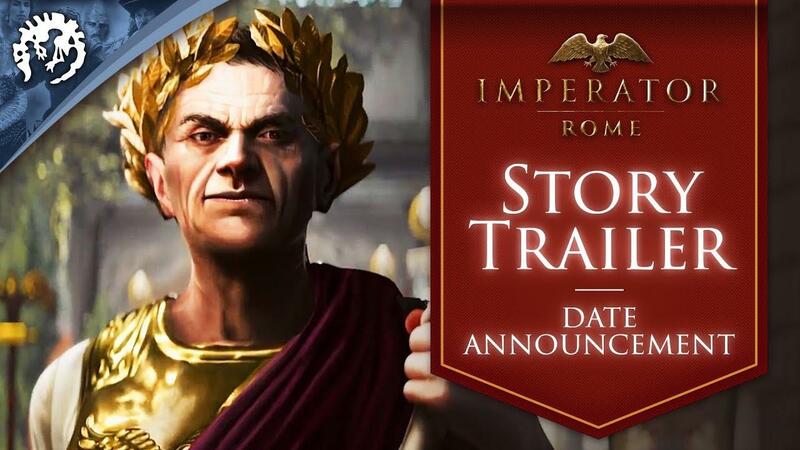 I am truly hoping Imperator: Rome is easier to get into, as a nice historical game like this would be great to properly try out. Additionally, it's now open for pre-order for those that do such things. You can find it on GOG, Paradox Store and Steam. For those after a good deal, there's also a new Humble Paradox Bundle 2019 with Magicka 2, Crusader Kings II, Age of Wonders III, Europa Universalis IV and more for Linux! Yeah, as a strategy gamer I feel like I am particularly privileged within Linux gaming. Most of the biggest titles - Civ, XCOM, Total War, Paradox - have native support, and a respectable number of indies. It is not perfect - Stardock and Slitherine publish many titles, rarely if ever with Linux support, for example - but I feel like it is so much better than for the fans of action games, shooters, action rpgs and other AAA games in general. I think only fans of programming games have better luck playing on Linux. Even Stardock seem to be shifting more Linuxward lately, dunno why. They might have decided to go Vulkan or something. Mind you, they must have been fairly aware of Linux all along, they have a sideline in "Stuff to pimp out your Windows desktop so it does things that Linux DEs do". Paradox bundle is good for others, but not me. Got virtually everything on it except Europa Universalis IV. Wow, that trailer gives you absolutely no idea what the game will actually be like. At any rate, it will be interesting to see how Paradox is able to distinguish this game from Crusader Kings and Europa Universalis. But with a meagre 30 hours on stellaris i will pass. I simply do not spend enough time playing computer games to get a new paradox game. Purple Library Guy Even Stardock seem to be shifting more Linuxward lately, dunno why. They might have decided to go Vulkan or something. Mind you, they must have been fairly aware of Linux all along, they have a sideline in "Stuff to pimp out your Windows desktop so it does things that Linux DEs do". Windows extensions is not their sideline, it's their primary source of income. Brad Wardell said once that Stardock's game development doesn't bring in much money at all, and in some cases even loses money. But Stardock is going to keep developing games simply because Wardell likes doing it. Mountain Man Wow, that trailer gives you absolutely no idea what the game will actually be like. My understanding of it is this is before (timeline wise) all of them. You've got Imperator: Rome -> Crusader Kings II -> Europa Universalis -> Hearts of Iron -> Surviving Mars -> Stellaris. Granted I don't know if Surviving Mars and Hearts of Iron is in that, but it sort of fits. My question is, are you going to be able to convert from Imperator all the way up to Stellaris at some point? I know they have one from Crusader Kings to Europa Universalis. slaapliedje My understanding of it is this is before (timeline wise) all of them. You've got Imperator: Rome -> Crusader Kings II -> Europa Universalis -> Hearts of Iron -> Surviving Mars -> Stellaris. Surviving Mars is a completely different genre. It is more of a City Builder and not Grand Strategy. It is also originally not a Paradox Development Studio game but has been developed by Haemimont Games.